Our Community's Steward of Beer Synergy! After the fall harvest each year the communities of the hundred valleys of the Umpqua celebrate the bounty of the land and the purity of the water. 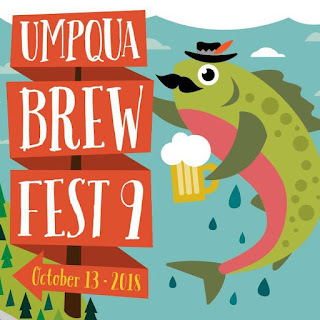 Sponsors, vendors, volunteers, organizers, musicians, brewers, and craft beer tasters all come together every October for a day of water, barley, and hop heaven at the Umpqua Brew Fest. Since the the fall of 2010, the festival has raised funds for Umpqua Watersheds, a non-profit conservation organization located in Roseburg, Oregon and dedicated to the protection and restoration of the Umpqua Watershed and beyond through education, training, and advocacy. The event beer and food servers and the Planning Committee are non-paid volunteers who commit hundreds of hours of service to make this annual community celebration a success.